Slink skin sheepskin gloves offer unrivalled warmth whilst being extra thin for dexterity. Sheepskin mittens make a great alternative to gloves when extra winter warmth is required. With their lambskin wool pile inside the Natasha Hat and mittens both offer outstanding winter warmth. The black Lara Hat and lambskin gloves make a great stylish combination. Smart and stylish, the premium hand-stitched slink skin sheepskin gloves are suitable for both men and women and very practical when dexterity is required, so make a great driving glove. 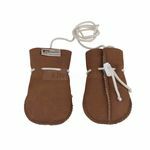 For additional information see sheepskin gloves & slink lambskins including details about the much sought after slink skins our gloves are made from. Plus see testimonials of our gloves, mittens and accessories products which are particularly popular in Canada, USA and UK. 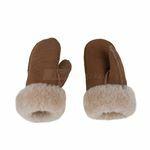 For superior toasty warm insulation in the snow and cold winter temperatures, our three sheepskin mitten products - baby mitts, child mittens and adult mittens - cater for the entire family. Our hats and gloves make a great combination so don't miss our sheepskin hats range for both men and women. 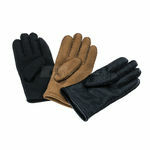 SALE NOW ON - All gloves and mittens reduced! 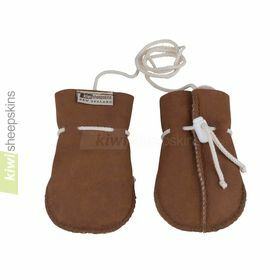 Real sheepskin mittens in children's sizes from New Zealand.